Lumos Networks' North Carolina ambitions have led to another M&A. The Virginia-based fiber builder and operator has announced the acquisition of DC74, complementing the fiber and connectivity services they got through the Clarity acquisition with some regional data center expertise. 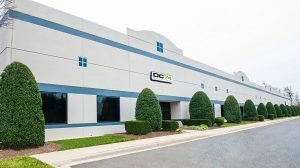 DC74 operates three data center facilities in Charlotte, North Carolina, bringing their total data center footprint up to 10. The new facilities are located a couple of miles from the Charlotte Douglas International Airport and span 42,000 square feet. Charlotte is one of the key markets of North Carolina of course, and Lumos will be taking on the entire DC74 team which gives them more boots on the ground with local knowledge in the region. The deal will cost between $23.5 and $28.5M, depending on future earn out projections. Lumos pegs that at a multiple of 8-10x last year's EBITDA, which works out to about $2.9M in EBITDA if anyone is counting. The deal also brings Lumos's data revenues in the state to $10M annually.